Introducing Our New Lead Ambassador, Miguel! Tangible Movement is thrilled to announce that our newest ambassador is Grammy-award-winning singer/songwriter Miguel! 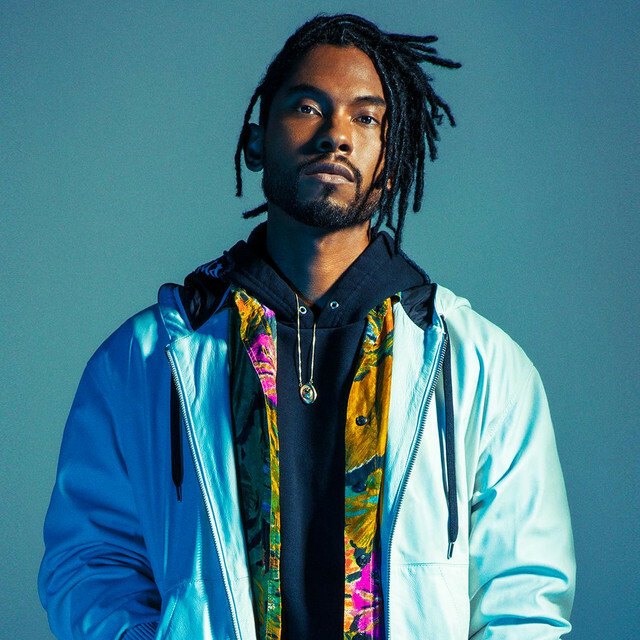 Miguel started pursuing his music career at age 13, and has since released four studio albums combining R&B, funk, hip hop, rock and electronic styles. He joined Tangible Movement as the lead ambassador in order to share his story and to inspire and encourage others. Miguel is excited to be working with Tangible Movement and to be speaking out on mental health and awareness. We're Totally (Not) OK Podcast Features Tangible Movement! 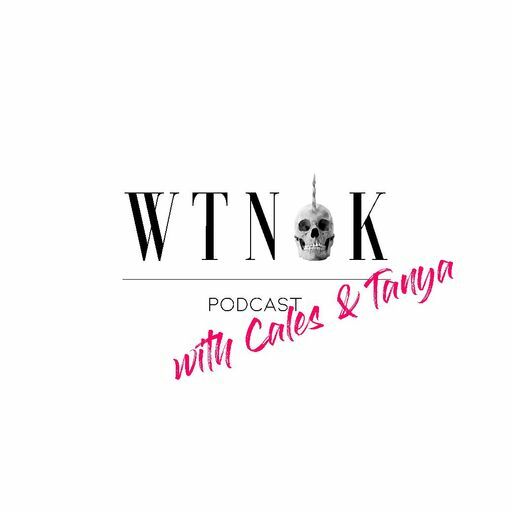 We’re Totally (Not) OK is a podcast about the intersection between mass media culture and mental health, hosted by Canadian actors Caleigh Le Grand & Tanya Bevan. Recently, they brought Tangible Movement Founder and Executive Director Torri Shack on as a guest to discuss the connotations that rear their weird heads in dialogues about mental health and mental illness, and how she shifts her position within said conversations from one that is affected by them to one that is affecting them. She speaks about her personal challenges with depression, addiction, suicide, bipolar II, and personal relationships, and how she came to form a movement that supports the education, awareness, recovery and wellness of those dealing with similar matters. You can listen to the podcast featuring Torri here, and find all We’re Totally (Not) OK episodes here. Susie Weaver is the founder of So Happy In Town, a lifestyle and parenting blog that emphasizes the importance of mental health. Join Tangible Movement Editor-in-Chief Jessica Hutt in discovering the role of mental health in Susie’s career and beyond. Jessica Hutt: What is your personal experience with mental health? Why do you chose to speak out on this topic? Susie Weaver: I was first hit by depression in my early 20’s when I was at university and it really came out of nowhere. One minute I was this happy go lucky student and the next I was floored with daily panic attacks and crippling anxiety. Back then, in the mid 90’s, mental health carried a lot more stigma than it does now and I felt embarrassed and ashamed that it was happening to me. It was such a lonely place to be because nobody even talked about it, never mind admit that their mental health had taken a nosedive. I knew I had to speak out and launch my #itsoktofeelshit T-shirt campaign because I don’t want any young person to ever feel like I had. Hutt: How does the value you place on mental health influence your parenting style? What do you tell your children about mental health? Weaver: I place a huge amount of value on mental health in my parenting because I feel it’s so important that I educate my children to understand that mental health is just like physical health - sometimes it’s good and you feel strong, but sometimes it’s not so good and you need some support. And the most important thing is that it’s so ok to ask for that support by talking about it. You never have to feel alone. The #itsoktofeelshit T-shirts have opened up so many conversations between children and teens and their parents about mental health - the power of having a naughty word on your top! That’s really made the campaign so worthwhile. Hutt: Why did you decide to start a blog? How has doing so helped you? Weaver: I started my blog because I wanted to talk about the highs and lows of parenting and life in general. I wanted to write about the good times but also the tough times, because the most important thing is we’re all in this together and trying our best to get it right. Mental health was one of those subjects that I wanted to be really open about because it affects us all, both as parents and our children. Hutt: What advice would you give others who are suffering in the ways that you have? How do you cope and maintain your mental health? Weaver: My main piece of advice would be to keep an open conversation about how you’re doing with a close friend or family member - someone you can trust to give you their time when you need it. Don’t ever think you’re being a pain and nobody wants to be bothered with you - I know this is easier said than done because we’re all guilty of thinking we shouldn’t burden others, but anyone who cares about you would hate you to be dealing with your struggles on your own. If ever I feel the beginning of a panic attack, I remove myself from the situation if possible and concentrate on my breathing (breathe in slowly for 3 and out again for 4). I find exercise hugely helps my mental health, getting plenty of sleep and having regular digital detoxes - too much social media definitely isn’t good for me. Hutt: How do you believe we can take steps towards erasing the stigma surrounding mental illness? Weaver: Talking, talking and talking. Basically normalising mental illness as much as possible and sharing our own stories. I know it’s not easy for everyone but many people find once they have shared, not only does it help them, it really helps others know that so many of us have been affected by mental illness at some point in our lives and it’s ok.
Hutt: Is there anything else about yourself, your story, or mental health that you would like to share with us? 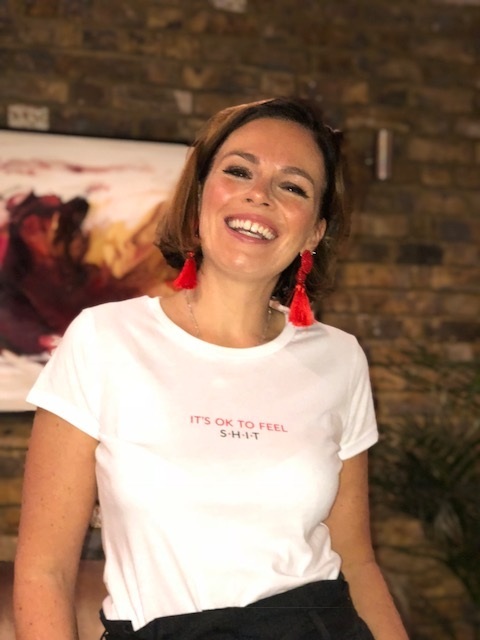 Weaver: It is said 1 in 4 children in every classroom are struggling with their mental health in some way, and that’s why 100% profit from every single #itsoktofeelshit T-shirt sold is going to YoungMinds, who are fighting for a new era where mental health support is available to every single young person who reaches out. Let’s keep talking about mental health as much as possible because the more of us that share our stories, the bigger our voice will become. Want more Weaver? Check out her blog here or purchase a S.H.I.T tee here. Mentally healthy people value themselves and treat themselves with kindness. This week, try eliminating negative self-criticism and making time for your favorite hobbies and projects. Broaden your horizons by trying something new like planting a garden, learning a language, or going to a dance class. By treating yourself with respect, you will become happier and more balanced. It is no secret that there is a direct link between physical and mental health. Taking care of your body can help your mind. Some ways you can improve physical fitness are eating nutritious meals, drinking plenty of water, and getting enough sleep. Exercise is also known to decrease depression and anxiety, as well as improve mood. People with strong family or social connections are generally healthier than those who lack a support network. This week, try surrounding yourself only with people who make you happy. Make plans with friends and family members who support and uplift you. Or, try meeting new people at places like a club or a support group. People who give themselves to their communities are likely to be happier and better-adjusted. Try volunteering your time and energy to help those in need. You will feel happy and fulfilled to have benefited your community, and you might meet new people along the way! Get help when you need it. Seeking aid is a sign of strength rather than weakness. Treatment is effective, and people who get appropriate care can recover from mental illness and lead full, rewarding lives. If you don’t have the means to see a counselor, speak to a trusted friend, teacher, or family member. You can also try to seek out resources at your school or place of work. Appreciate yourself to the fullest by journaling the things you have accomplished. Additionally, count your blessings by recording the things in your life for which you are thankful. Try starting with three things you were grateful for and three things you were able to accomplish each day. If you want to record these digitally, check out the free apps Happier and Attitudes of Gratitude Journal. Sometimes, it can be helpful to leave your phone at home and live a day free from constant texts, emails, and other interruptions. Try having a genuine experience and being present in the moment. Spend some quality face-to-face time with those you love without your smartphone getting in the way. Research shows that time with animals lowers cortisol, a stress hormone, and boosts oxytocin, which stimulates feelings of happiness. If you don’t have a pet, hang out with a friend who does or volunteer at a shelter. As simple as it may seem, going for as short as a thirty minute walk in the woods can do wonders for mental health. Research shows that being in nature can increase energy levels, reduce depression, and boost well-being. Whether a stroll through the park, a hike in the woods, or camping in your backyard, try spending some time outside this week! As much as we would like to hope otherwise, stress is inevitable. Bad things are bound to happen, but mentally resilient people will take the moments that they are totally overwhelmed and try to find the good in them. In many cases, it’s all about how you view the situation. Sara Sheehan is a Connecticut-based author and fierce mental health advocate. She is the author of MoonSoulChild: The Journey Through my Heart, I Was Never Broken, and Letters to You. Join Tangible Movement Editor-in-Chief Jessica Hutt in discovering the intersection between Sara’s mental health journey and her writing career. Jessica Hutt: Tell us about your writing! How does mental health influence your work? Sara Sheehan: My writing is a trip through my mind and a journey through my heart. Writing has been a huge part of my life because it’s the one therapy that has worked. Being in my own solitude, away from everyone, and just inside my own heart. I felt secure when I wrote, and that’s not a feeling I felt from anyone, including myself. Hutt: What is your personal experience with mental illness? How did it become such an important part of your life? Sheehan: Anxiety has been a huge part of my life before I even knew, or could accept it. Growing up I didn’t talk. I would get anxious to just talk around people I didn’t know, or even close family members. I never did public speaking until college. I feared talking, and the impact put on my shyness. I became the girl who “didn’t talk” or “couldn’t talk”, and it was miserable to be made up into a joke because I didn’t speak to anyone. I remember people would find it odd that I actually had friends, and the people I was close with didn’t treat me like I was abnormal. I wanted to be normal, I wanted to be how open everyone could be, I wanted to be outgoing. I didn’t have the voice, my anxiety had other plans for me. I found my voice when I wrote - that’s how I managed. I grew up and out of my “shy” phase after I graduated high school, I managed my nerves well, and when it came to situations, I did the best I could and wrote my heart out. My anxiety hit all time high when my friend passed in 2017. I spent a whole year anxious, depressed, and trying to grieve, while trying to understand myself. Anxiety is a mind game. It will have you believing what your own mind makes up. I’ve became “sick” off illusions I created to the point where I actually felt sick, and it’s terrifying because you can accept it, and still never catch it the next time around. Hutt: How did you get into writing? How does it help you? Sheehan: High school days, young and in lust. But really, Neyo got me into writing. I remember loving his music and admiring the fact he wrote every word. Still to this day, I pray one day we can write something together because he’s my inspiration. I started off wanting to write music, but when I really started to write, I just let it flow. I wrote best when it came to my heart. I expressed myself through my writing and I loved having an outlet to be my own person. Writing has saved my life, because I wouldn’t be this sane without putting my feelings into words. I always thought of writing as a friend to me, it was always there when no one could understand, because I was the only one who actually felt it. Writing has helped me overcome my fear of being known, though I still get anxious being the center of attention. I’m more known, but with a little mystery. Hutt: What advice would you give to people who are suffering in the same ways that you have? How do you cope? Sheehan: I’ve said this one time in one of my pieces - “I can’t give you ways to overcome anxiety, or any mental illness, or weight you’re carrying, but I can tell you you’re not alone. I can tell you it’s just your mind playing tricks on you. Some days I find myself not ready to take on my everyday life, or even in a mood that I can’t shake, and seem to not know what’s wrong. I take a mental health day and do what it is I need to feel better, whether that’s sleep, enjoying a good tv show, getting some sun, or writing. Just because you’re suffering in that moment doesn’t mean every moment has to be so bad. Find something that helps you feel secure and in control. Think of something that makes you feel good in the same moment you feel you lose yourself, do more of that. Writing is that for me. Sheehan: My story is all in my writing, each book I’ve released is a piece of myself. I write for my own healing, but in hopes that my work comes across someone it may help, too. I inspire to open the eyes of the hearts of many, to show their heart and stop spreading hate. I want everyone to know they’re worth more than how they appear to be, and that your true worth is never in the eyes, but only felt within the heart. Want more Sheehan? Follow her on Instagram and Twitter! Her works can be purchased on Amazon. Giving Tuesday is a global movement for giving and volunteering that takes place each year after Black Friday. The “opening day of the giving season,” it is a time when charities, companies and individuals join together and rally for their favourite causes. Giving Tuesday harnesses the potential of social media and the generosity of people around the world to bring about real change in their communities. We hope that you will consider donating to Tangible Movement on Giving Tuesday and do your part in erasing the stigma surrounding mental illness. Please sponsor us at https://www.gofundme.com/tangiblemovement. Happy Thanksgiving, and warmest wishes from Tangible Movement! I hope that you are all enjoying spending quality time with your families, indulging in delicious meals, and watching fall football! Today, I am swapping Therapy Thursday with Thankful Thursday in celebration of Turkey Day, and will be discussing the benefits of gratitude. Take a few minutes out of your day to reflect on your blessings before bed! Leave a notebook on your nightstand, and fill it up with a few thoughts each night. Research indicates that keeping gratitude journals makes people feel better about life and be more charitable toward others! Nothing is too small to include in this journal - record the little things that make you happy during your day! Don’t reserve your gratitude for grandiose gestures! Forbes Magazine suggests that “The habit of being grateful starts with appreciating every good thing in life and recognizing that there is nothing too small for you to be thankful for”. Identifying every single good thing that happens to you will make you a far more grateful person. Thank you so much for reading, and I am wishing you all a very warm and joyful Thanksgiving. I am grateful for your readership and for the opportunity to work with an organization that is wholeheartedly dedicated to helping others. Tangible Movement sends their best regards! Motivation Monday - Birthday Reflections! Hello all, and happy Motivation Monday! Today is my seventeenth birthday, and this occasion has provoked me to reflect on the passage of time and what I hope to achieve in the next chapter of my life. To me, birthdays are a time to celebrate a year’s worth of lessons learned, goals achieved, and cherished memories made. They are also a time to prepare for the next 365 days of laughter, mistakes, experiences, and challenges to come. Today, I invite you to think back over your the past year with me. What were the highest points for you, and the most devastating lows? How did you overcome adversity and demonstrate resilience? What have you spent your time doing, and was it beneficial for you? What have you learned? Are you living life to the fullest? Are you excited or wearied by the prospect of a year to come? Are you the healthiest, most positive, and best version of yourself? Come to our Queer Kids Kickoff! The Queer Kids Kickoff in collaboration with Tangible Movement will take place on Sunday, November 18 from 1-3 pm. The event, hosted by Tangible Movement, will serve as a casting call for LGBTQ+ youth who would like to be showcased in their local communities. Join us for drinks, snacks, and fun as we take photos for our LA series trading cards. The event is free (though donations are appreciated) and will take place at Onepiece Work (631 Wilshire Boulevard, Santa Monica, CA 90401). RSVP at https://www.eventbrite.com/e/queer-kids-kickoff-open-call-day-party-tickets-51902826752?utm-medium=discovery&utm-campaign=social&utm-content=attendeeshare&aff=escb&utm-source=cp&utm-term=listing#tickets! We look forward to seeing you there! Come to our Stage and Table Event! On Saturday, November 17, from 8:30pm-12:30am, Stage + Table will host a Wine & Cheese Pairing Competition. All proceeds from this event will go toward Tangible Movement. The contest will feature wine and cheese pairings from over 12 teams for attendees to sample and judge. After the conclusion of the competition, guests are welcome to stay and mix, mingle, and enjoy gourmet late night treats! REGISTER NOW at https://stageandtable.com/event/18-11-17-fr!